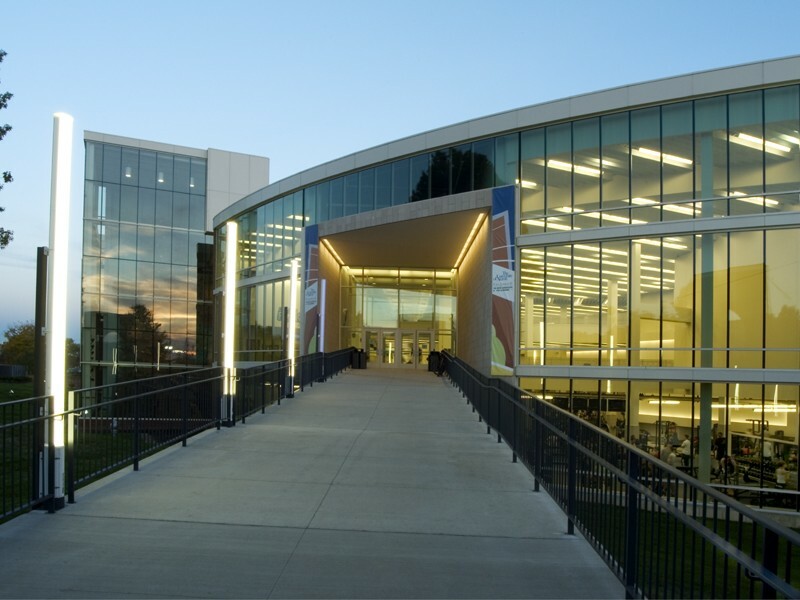 A cornerstone of the new campus master plan for the University of Akron, the Student Recreation Center and Athletics Field House seamlessly joins athletics and recreation through a freezone. 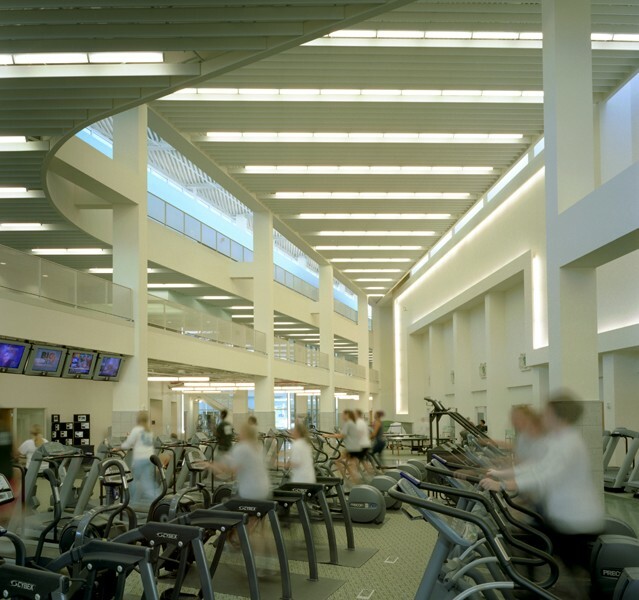 The centralized plaza serves indoor/outdoor track participants and spectators. 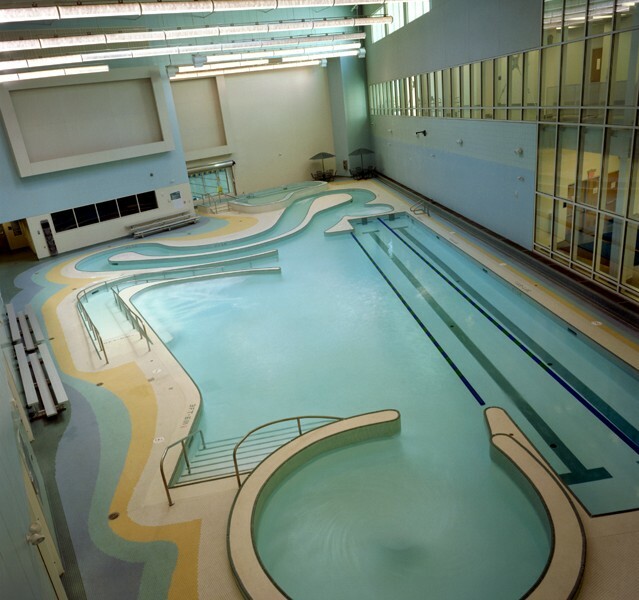 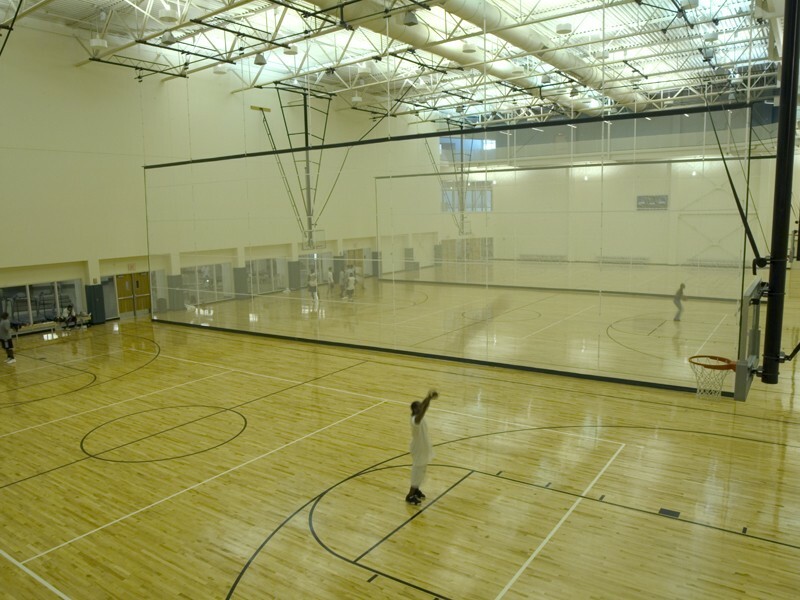 A three court gymnasium, two court multi-sports area, 56 foot high rock-climbing wall, cardiovascular area, free weight and strength training area, aerobics/dance studio, new leisure pool and running/walking track are also contained within the facility. 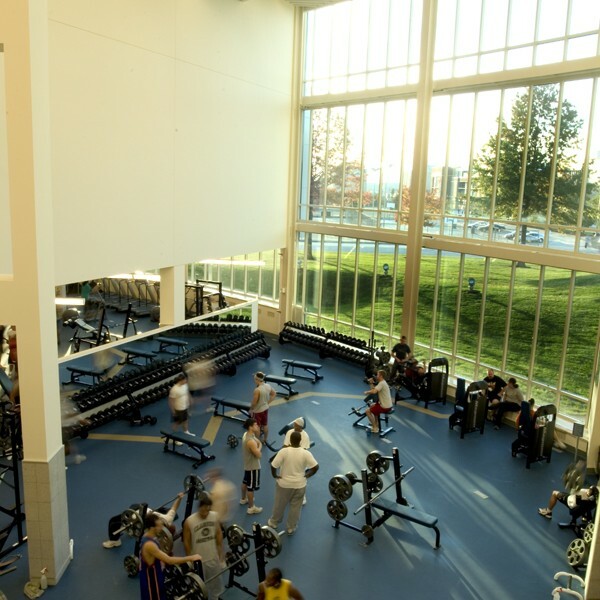 Connected to the recreation center by a ramp, the field house consists of a varsity football practice field with a 60 foot-high clearance, 300 meter six lane, indoor track, locker rooms and related spaces. 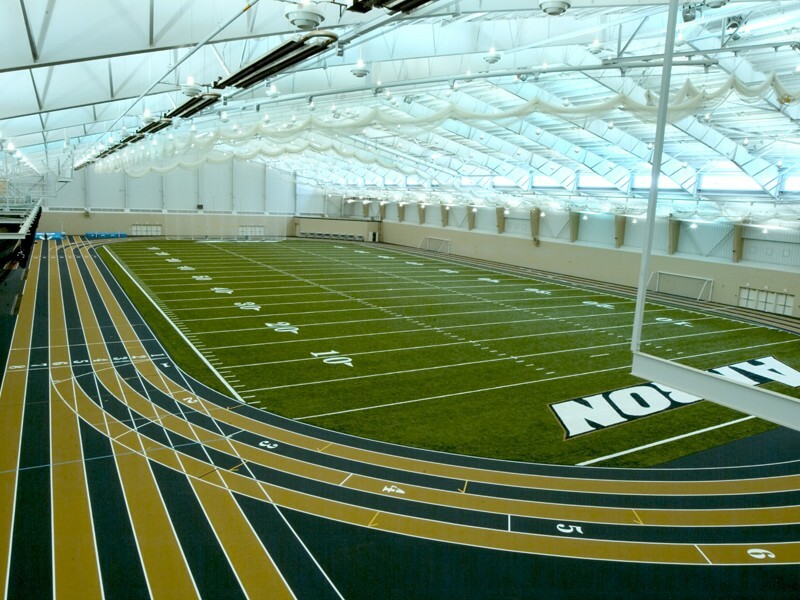 The field house benefits all varsity athletes and is one of only two in the Midwest with an indoor varsity golf facility. 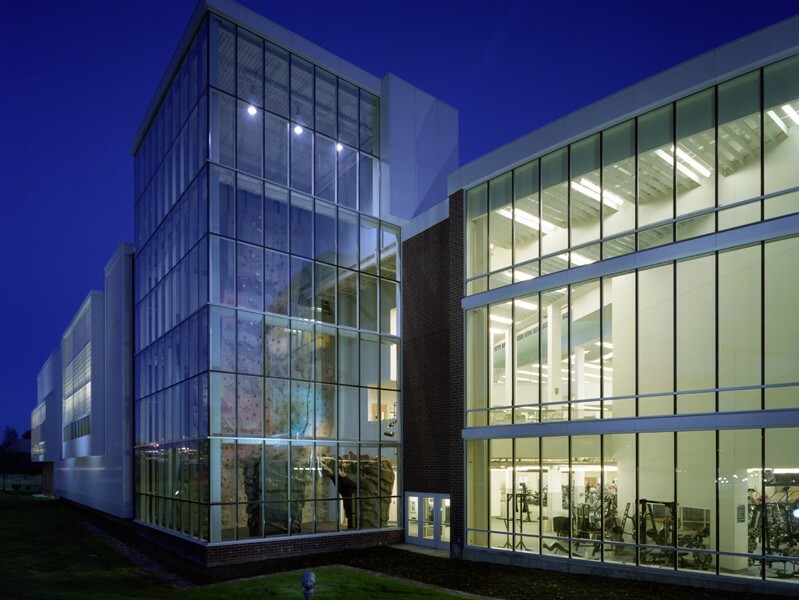 Moody Nolan conducted the feasibility study, and provided schematic design and architecture services for this project.